Plato, in his dialogue Phaedrus, draws on the analogy of a charioteer to explain the soul. He eloquently paints a picture of a charioteer driving a chariot being pulled by two winged horses, one white, the other black. The charioteer must direct the chariot, trying to stop the horses from going in different directions, so he can reach enlightenment. We are the charioteers of our lives. We are in the driver's seat, directing our chariots to go where we want them to go. However, as human beings, we have divided natures. We have the proverbial angel on one shoulder and the devil on the other, each whispering into our spiritual ears, trying to lure us away from the other. If we do not know who we are, we will continue to be divided within ourselves, where we will be pulled in different directions. It's a constant tug-o-war. Talk about insanity! Let me throw in a football analogy. Here in Alabama, you pledge allegiance to either The Crimson Tide (Roll Tide!) or The Auburn Tigers (War Eagle!) when it comes to college football. Both are Alabama universities, yet they are rivals, even though they've originated from the same state. Many times you will see flags, signs, or license plates displaying the emblems of both teams, divided by a lightning bolt, surrounded by the words, "A House Divided," meaning some members in the home are Tide fans while others are Tiger fans. You can imagine the excitement and the insanity on game day when these two teams meet. There's no peace. A house divided against itself cannot stand. And if you are divided against yourself, you will not stand, unless you take control of your life by taking a stand. This means getting in your chariot and taking the reins. You've got two horses rearing to go in front of your chariot: your Higher Self and your lower self. Your Higher Self is the authentic, realized, ultimate you -- your God-Self. 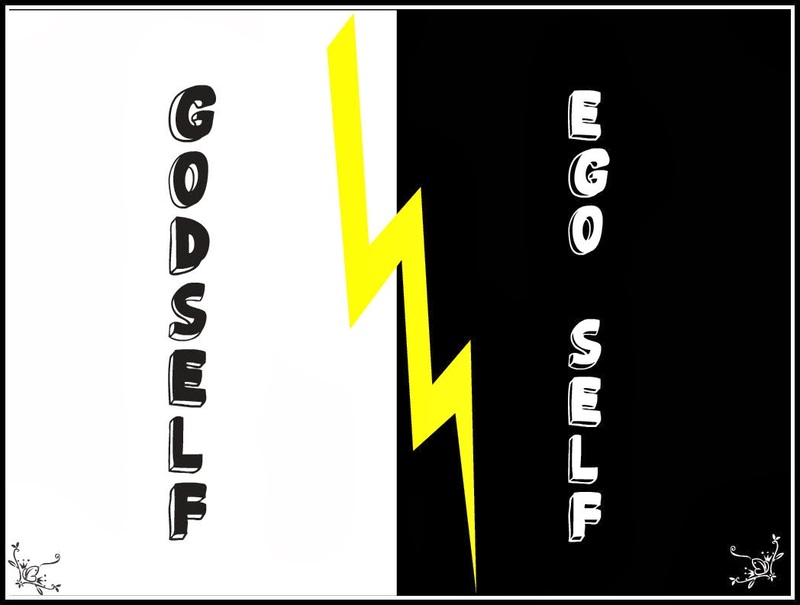 Your lower self is the base, unrealized, egoic you -- your ego-self. You'll know which horse is your God-Self because it will lead you forward into curiosity and adventure. You'll find yourself ready to break free from your comfort zone and eager to try new experiences. You'll be intrinsically motivated. You'll speak your own truth, not someone else's version of it. And you will feel connected to a Higher Purpose. Likewise, you'll recognize which horse is your ego-self. It will not look out for anyone else but itself because of its insecurity. It is addicted to greed and will always measure itself by the accumulation of external rewards such as money, status, and the like. It serves self-interest as its god. Which horse will you encourage? Break out of your comfort zone today and do something that you've never done before, or have never considered doing until now. Take the reins of your life and direct it where you want it to go. Just thinking about it will activate the spiritual horsepower within you. 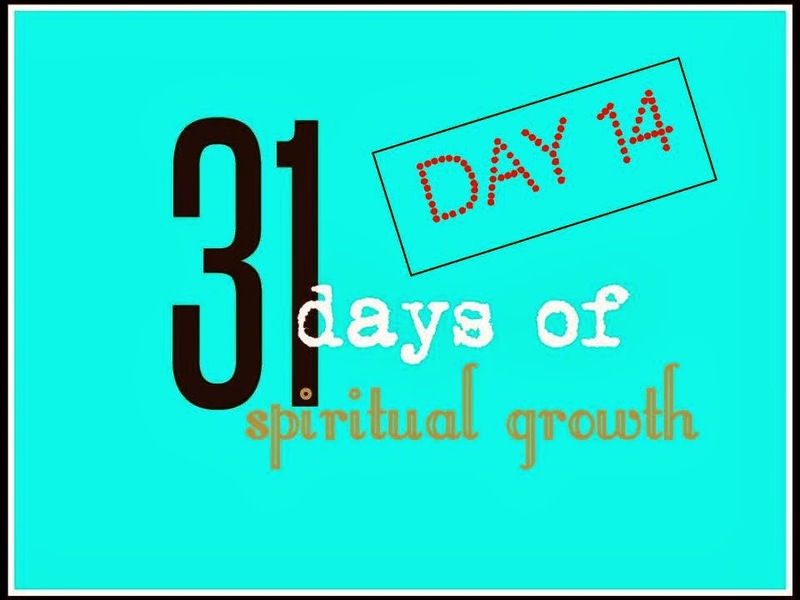 Read the introduction to 31 Days of Spiritual Growth here, and find links to each post in the series. In order to make that connection with my higher-self I always find it helpful to take a few minutes each morning to tune into the energy of my body to see how I’m feeling energetically. Getting to know how my body feels when I’m in alignment helps me to maintain control of the direction of my thoughts throughout the day. Sometimes we just have to tune out the “Race Consciousness” where we are conditioned to believe that drama, suffering and hardship are normal and instead embrace our “higher” frequency that maintains that the Universe is Loving and always working towards our good. Anyway, this early morning practice helps ground me and opens up my higher channels! That is a wonderful way to start the morning. It's so important to gauge our energy and to connect with our higher selves in order to direct our days. It's our compass. And I agree. We need to tune out the negativity of the world that surrounds us on a daily basis. It only drags us down. It just seems insane that anyone would want to start their day in such a way. Thanks so much for sharing! I appreciate your insights. That's wonderful! I'm glad you are taking control of your energy now. Keep up the good work. You will notice some shifting and changing but it will all be for the better!